I may have a thing for cabbage. Secret cabbage, at that. Today's Food for Fuel is brought to you by Kale; it looks like salad, comes in curly and plain leafed varieties, and is the cabbage family's wild child. That's right, Kale comes from the cabbage family. The "wild cabbage" family. Par-tay. Kale, or Borecole, is a form of cabbage that grows in green or purple. You may not have thought of Kale as a member of the cabbage family because it's leaves do not form a head like it's siblings broccoli, cauliflower, and brussel sprouts. Origins: aka: where I get my nerd-on. In 4th century BC Greece the curly leaf varieties already existed alongside the flat leaf varieties. These curly leaf varieties were referred to by the Romans as Sabellian kale and are thought to be the ancestors of modern kale. During WWII, the civilians of the United States of America along with the civilians of the United Kingdom, Canada, and Germany grew "war gardens" (or Victory Gardens). These were private residential gardens that were encouraged so as to take pressure off of public food supply created by the war effort. Gardeners were rewarded by not only the produce grown, but the satisfaction that they were indirectly aiding in the war effort. 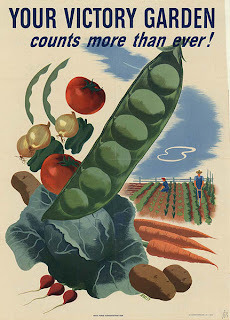 In the U.K. during their "dig for victory" campaign, the cultivation of kale was highly encouraged for its important nutrients that would supplement those lost in a normal diet due to rationing. Kale is seriously a super food- a Super Duper Food! It is very high in beta carotene (for your eyes), Vitamins C & K, and rich in calcium. Kale contains sulforaphane, an anti cancer chemical! 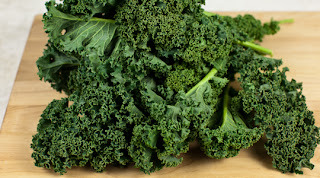 These are particularly potent when kale is chopped (kind of like when you smash garlic, same-ish thought) Kale is also a good source of a chemical called indole-3-carbinol which boosts DNA repair in cells and is thought to block the growth of cancer cells. SEE? Super Duper Food! Not convinced yet? Alright, well, I have more! 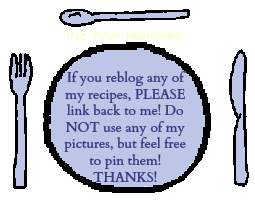 Here's two recipes I really like. Baked Kale Chips (I add parmesean cheese to mine) & Sauteed Kale. Kale also freezes really well and tends to become more sweet after it's been frosted a little bit. However you cook it, just please do NOT boil it. Say buh-bye to all it's super-duper food powers if you do.... just sayin. Okay, so to recap: it's related to the cabbage family (snap, snap) it's a Super-Duper Food (I wish I had a picture of Kale with as cape on, the new caped crusader?) and NO BOILING.- also, do not buy if there are yellow spots on the leaves, means it's old, blech. Guess who is cooking some kale today… Meeeee!!!!! Thanks for the sauteed recipe. Kale is so amazing! I think it's so interesting that kale was such a common food ages ago but is only now coming into the spot light. Truthfully, I had never heard about it until this summer! Thanks for the informative post. I wonder if I would be able to get Kale here in Sydney, Australia. I will have to do some clever googling to find it.